Kids play with silly monsters, hilarious bugs, and even Big Bird in this collection of the best word apps for kids. For older kids, the word games are less playful, but still entertaining, including ones that help teens prepare for the SATs. Kids get up and move to look for words on Big Bird's list in this fun app that combines learning with being active. Letters comes alive -- wiggling, blinking, and saying sounds -- while monsters juggle, bellow, and nose around in this madcap alphabet adventure. 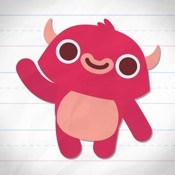 Adorable monsters introduce kids to a set of hilariously animated words in this free, try-before-you-buy reading app. This app is a sequel to Endless Alphabet, but it stands on its own. 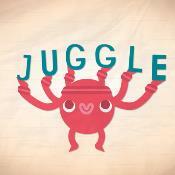 Words become characters in this engaging interactive game, where they show their meanings through hilarious antics. This app puts vocabulary practice inside of nine diverse, engaging games. 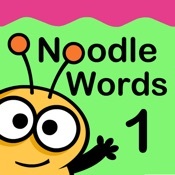 This app hooks kids by giving them a pile of words displayed all helter-skelter on the screen -- in other words as a "mess" -- and then tasks them to find words that fit a specific rule. Become a world class wordsmith by answering responsive quiz questions in this word app that adjusts as you play.